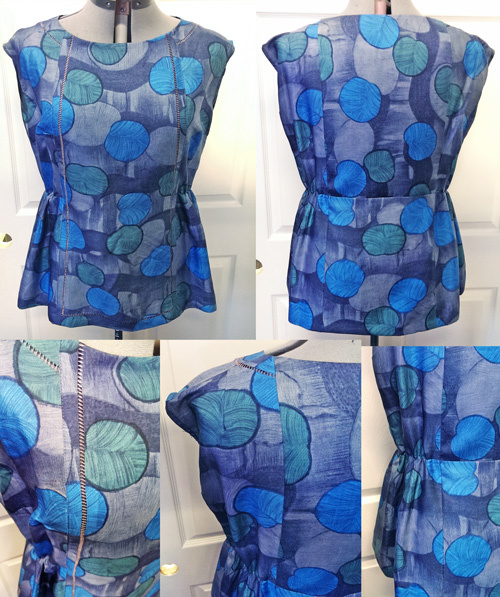 Well, I already worked some magic for Julie and Nina, so I don’t see why I couldn’t figure out something for Karen’s amazing teeny-tiny vintage silk dress too! All around it was too small, the armpits had rips in them, but we both agreed that this dress needed to be revamped so it could have another life cycle! After studying the patterning of the dress, the decorative details, and what usable material we had to work with, I suggested that we slice the dress straight down the front and back and add in panels. To expand the front waist/chest, I really wanted to use the flap from the front skirt that had the really cool thread cutout detail. 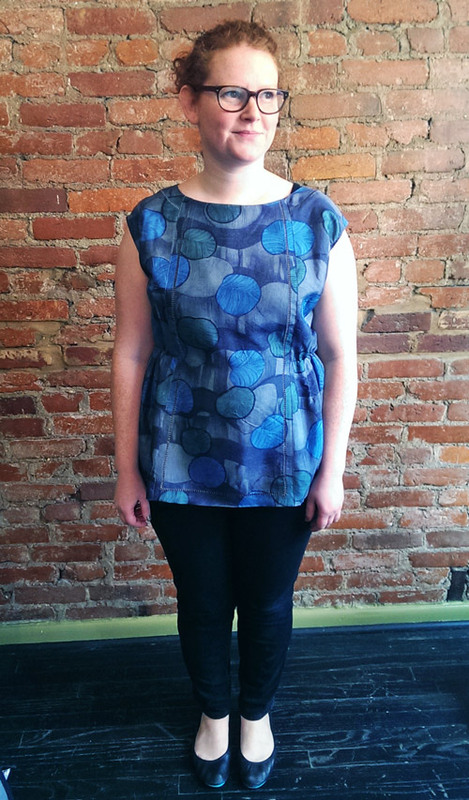 Karen was on board so I started patterning and cutting! First, I sliced the front and back. 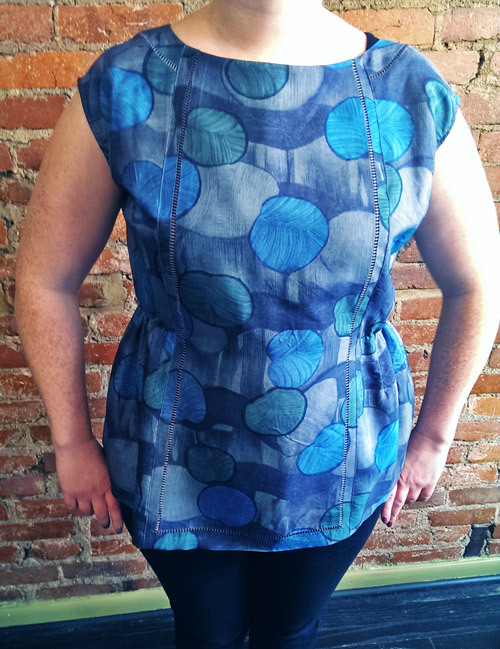 Then I moved the skirt panel up to be the new center of the bodice and I scooted the old sides outward to expand. I used the seam where this butted up with the center panel to add a little extra tailoring, much like a princess seam. I then ditched the zipper on the back and cut apart pieces from the old hem to create the back panel with a horizontal waist seam. And since the pieces were not long enough to do it in one piece, I cut it in 2, with the adjoining seam acting as the waist seam, thus blending into the panels around it. After all of that we decided to remove the sleeves, raise the waist to her true waist, and tailor the sides to add some more shape. I also hemmed the bottom, and added elastic to tuck in the waist, but still keep a flat center front and back (the shape that is a lady’s best friend!). 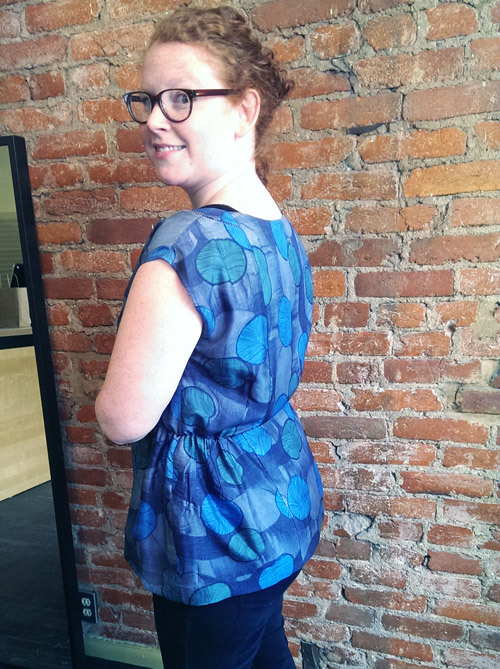 Now Karen can wear the piece and will get more wears out of it as an adorable wardrobe staple perfect for work or play! 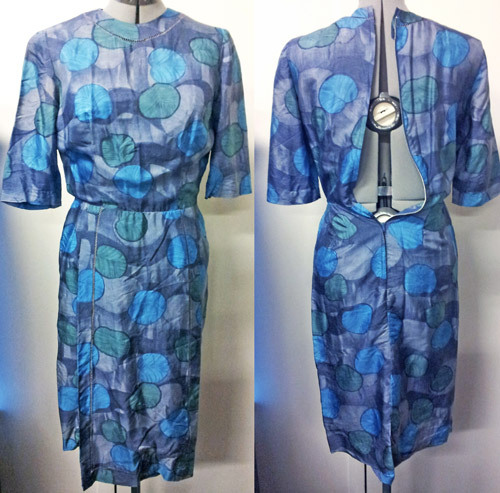 Do you have a tiny vintage dress that you want revamped so you can keep it in your wardrobe? 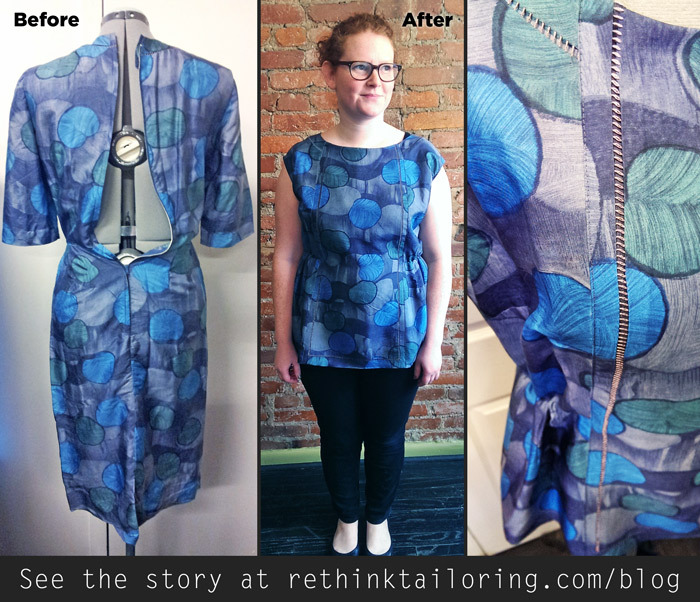 Email me about it at kristen@rethinktailoring.com.